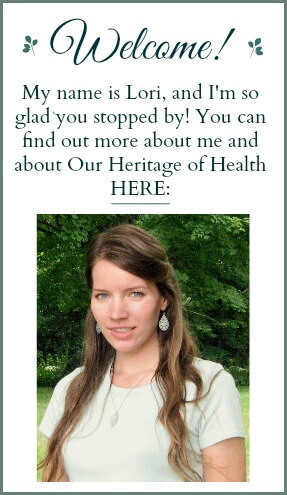 A few weeks ago I visited Old Sturbridge Village (a living history museum focusing on early 19th century life in New England,) and one of the things I did while I was there was to take a plant literacy tour to learn about edible weeds. It was an absolutely beautiful day with blue skies, sunshine, and a slight breeze, and if I hadn’t needed to get home to let my dog outside, I think I could have stayed there all day walking around the village and learning about the different plants. The tour guide was one of the costumed interpreters from the village, and he seemed to know just about everything there was to know about plants, both the ones growing in the gardens and the ones growing wild along the roadside. I was amazed by how many plants I had always thought were just weeds were actually useful and even edible plants. 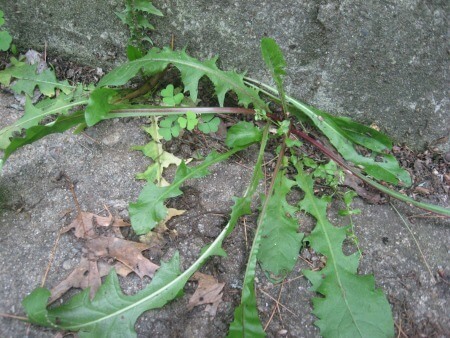 Some, like dandelions, I already knew were edible and had medicinal uses, but there were other plants I’ve seen all my life that I never knew had any use. Going on this tour really made me want to learn more about the different kinds of plants that are growing right in my own backyard. I’m familiar with all of the common kitchen herbs, but I realize now how little my level of plant literacy really is for the lesser-known plants, and I want to become more familiar with the ones that grow wild where I live. One of the plants I learned about on the tour was jewelweed. It’s one of those plants that I’ve seen growing along the side of the road all of my life, but I never knew what it was. 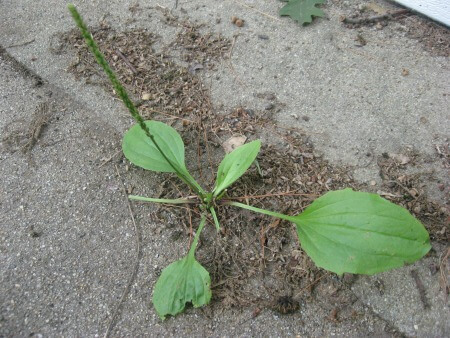 I had always just assumed it was a weed, but I know now that the juice from the crushed leaves is often used as a remedy for poison ivy. I see jewelweed all of the time now when I’m taking my dog walk, and it’s usually growing right near the patches of poison ivy too. How convenient! Dandelions . . . everywhere! 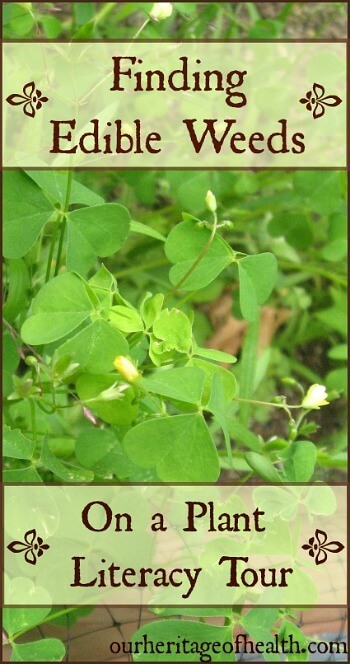 I always used to think the wood sorrel was clover, but now I can see the differences between them. 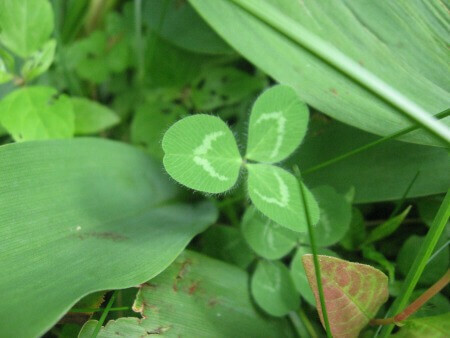 Here’s a picture (below) of a clover leaf that was growing near my garden. You can see a definite difference in the shape of the leaves. 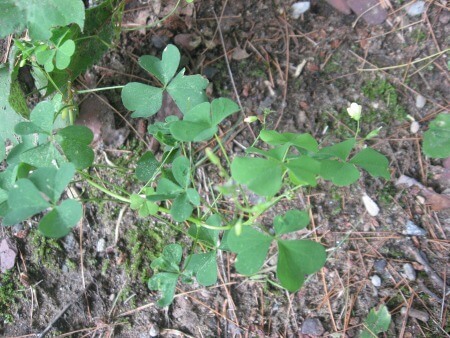 The wood sorrel has smooth, heart-shaped leaves, and the clover has rounder, fuzzier leaves. The wood sorrel also has tiny little yellow flowers, and the clover has the typical red or white flowers that we usual think of as being clover. 1) Before you pick any plants, and definitely before you put any in your mouth, you want to be really, really, really sure that you have the correct plant. If you’re not very familiar with plants, there are some varieties that can look almost identical to each other. Like Queen Anne’s Lace and it’s poisonous look-alike, Hemlock, for example. I would recommend getting a book about foraging to help with identifying different plants – especially one with pictures like this one . You could also probably find foraging books and book about edible plants that are geared toward the specific region or climate where you live. 3) Whenever you try eating a new plant for the first time, it’s a good idea to start with just a little bit, just in case you have any kind of allergic reaction to it. If you feel fine after eating a little bit, you can always eat more later. Better safe than sorry! 4) It’s also a good idea to only try one new kind of plant at a time because if you tried several new plants in one day and you had a negative reaction to one of them, it would be harder to figure out which plant was the problem. 5) And it’s best to only pick plants that are in areas where you know they are clean and haven’t been sprayed with any types of pesticides or other chemicals. I love Sturbridge Village! I actually have been there during their plant sale and have some in my garden. 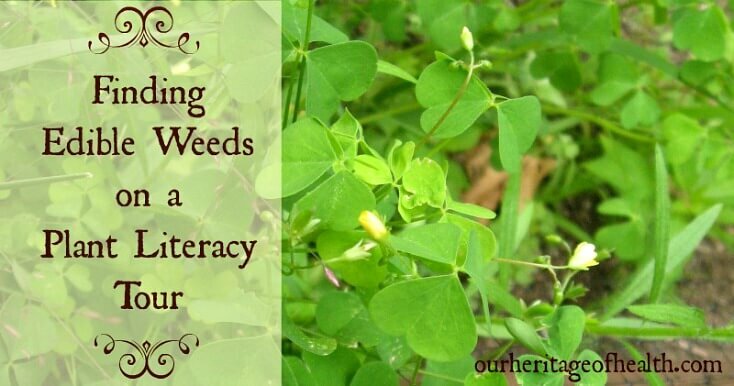 I mistakenly thought wood sorrel was clover too. I have never been able to find jewelweed in the wild. Well, that’s not true. I did see some ONCE, on an out-of-town trip, but I’ve never seen it near where I live, although I know it’s indigenous here. As our yard has a good deal of poison ivy, I’d love to come across some! I’ve been told that drinking jewelweed tea may even reduce one’s susceptibility to poison ivy in the first place. Don’t know if that’s true, but it seems worth a try. Interesting! I’d be curious to know if that’s true too! Queen Anne’s Lace is wild carrot so it would smell like carrots if you break a leaf off! Don’t touch Hemlock it is much taller than Queen Anne’s Lace and very poisonous! Both grow in meadows.